The mattress series FAMOUS collection is dear to the public and combines quality and flexibility offered by independent pocket springs, with attractive prices. They offer orthopedic support and are made with quality raw materials. The velvety feel of a Star Plus layer can’ t be unnoticed every time you lie down on it. Anatomic layer of moderate hardness with Bonnell springs and adaptability to the body, gives you plenty of reasons for rest. It is ventilated without holding harmful elements out of the atmosphere. Great advantage of having a zipper that helps check the interior and easily clean it. Extremely gentle thanks to its velvety outer casing, Star Plus 3D anatomical layer is an enriched version of the Star Mattress series. Enhanced externally with 3D technology and construction made of Bonnell springs 2.4 mm, it is a layer of moderate hardness with more stable surface for the body. Ventilated mattress that maintains cool temperatures, and thanks to its zipper, check of the interior is a very easy process. For those who spend sleeping periods with alternating moods, the Star Plus Pillowtop anatomic mattress is the ideal solution: with a constructional emphasis on the surfaces, it offers a dual choice according to your sleeping needs, with a soft side and a tougher one. It consists of Bonnell springs with body-like behavior. Zipper included for easy cleaning, while it's ventilated, which helps keep it warmer than a common mattress. You could not miss out on the Star series the option for mattress enriched with latex and coir line. Gentle outside with velvet fabric and quite resistant internally to wetness. Combines resilience with elasticity and consists of Bonnell springs capable of adapting to the body. Skin-friendly, ventilated mattress with zipper for easy cleaning. Adding 3D technology, the Star Plus Coco 3D anatomic mattress is extra-reinforced externally. Its interior of coconut-enriched latex absorbs wetness and contributes significantly to the elasticity of the mattress. Its construction by Bonnell Springs helps giving you quality moments of relaxation. It is a ventilated mattress and its zipper allows easy cleaning inside and out. Combining multiple choices to fulfil even the most demanding sleeping needs, the Star Plus Coco 3D anatomic mattress offers features that ensure relaxing sleep in any case. Its interior of coconut with latex contributes to excellent body support. Bonnell springs included for better adaptability to the body. What makes the difference, however, is the Pillowtop technology that lets you choose its soft or toughest side according to your mood! If you are looking for a very durable choice capable of maintaining more weight, then the anatomical mattress Star Plus Mini Bonnell is the only solution you need! Made of Mini Bonnell springs, it provides strong support for increased weight. It is an anti-allergy layer and absolutely skin-friendly, while being ventilated to eliminate harmful elements from the atmosphere and maintain at low temperatures. It also includes a zipper that allows easy check of the inside. Extremely reinforced both internally and externally, the Star Plus Mini Bonnell 3D anatomic mattress offers ideal body support and high weight resistance. Made of Mini Bonnell springs that are ideally suited to withstand increased volume, has also Border 3D technology that offers higher external reinforcement. A ventilated layer that includes a zip to check the interior content. Its anti-allergic formulation is skin-friendly, giving a soft feel. 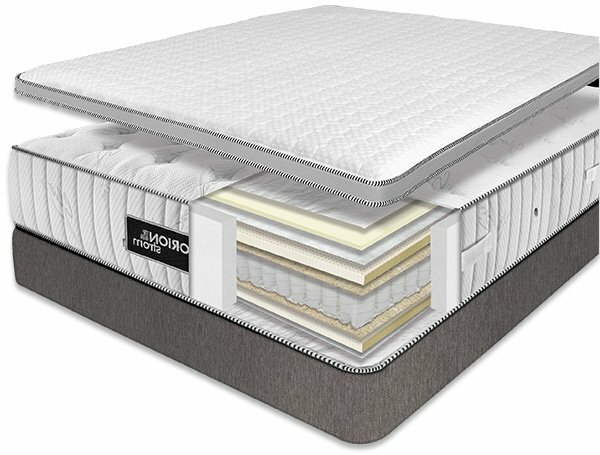 Capable of withstanding more weight due to the Mini Bonnell springs, the Star Plus Mini Bonnell Pillowtop Anatomic Mattress is the perfect innovation for those who have no consistent preference for their mattress: with the Pillowtop style, it allows you to turn it from the soft or the most tough side according your needs to enjoy the type of surface you want. It’s a skin- friendly, ventilated mattress with a customized zipper for easy cleaning. Combining impeccable quality with elastic and durable construction, the Star Plus Coco Mini Bonnell anatomic mattress is a guaranteed top choice in its class. The coconut with latex content along with the Mini Bonnell springs offer an ideal feeling of relaxation in your body. The behavior of the mattress adapts to body movements offering comfortable sense. It is a ventilated layer with zipper to keep it fresh and at cool temperature. For quality moments of relaxation, the Star Plus Mini Bonnell 3D anatomic mattress offers much more in relation to its cost. Contains coconut with latex and Mini Bonnell springs to guarantee excellent balance of hardness and elasticity. With extra 3D technology, the mattress is even more strengthened externally for greater stability. Enriched with anti-allergy construction that makes it skin-friendly. Ventilated with extra zipper for easier cleaning. The Star Plus Coco Mini Bonnell Pillowtop is designed to offer durability and enjoyable rest. Choose your option between a reinforced soft normal side or a tougher surface with Pillowtop technology that allows you to lie down on your preferable side! At the same time, the coconut with latex content ensures a cool inside environment, while Mini Bonnell springs guaranteeing extra heavy weight performance. The soft Star Memory mattress has the ability to revert to its original form, regardless of any shape it takes while you are on top of it. In this way, it is always ready to welcome your body, ensuring proper adjustment and support for the muscles. Anatomical construction made of Bonnell springs with an anti-allergic texture that makes it skin-friendly. Ventilated layer that remains at cool temperature. Star Memory's ability to revert to its original shape in any situation you leave it after use, is ideally matched with Border 3D technology for external durability. This extra feature strengthens the mattress externally by offering also a better grip. Enjoy the right fit on your body and muscles support for comfortable sleep. The Bonnell springs provide durability and cool temperature. The mattress is ventilated with additional zipper for easy check of the interior. You may want your mattress to be soft and return to its original shape or you may want your mattress to be tougher and also return to its original shape! Whatever you ask you can have them both selecting this Star Memory Pillowtop mattress! Memory technology allows it to reset regardless of the situation you have left it during sleep, while the Pillowtop construction allows switching between softer or tougher surface according to your needs. The Star Memory Pillowtop anatomic mattress consists of Bonnell springs with body-like behavior also supporting perfectly the muscles. With a Star Plus Latex anatomic mattress, you can feel soft every time you go to sleep. The processed latex used by our company is certified, technologically advanced and resistant against wear. The Bonnell springs provide durability and cool temperature. This also contributes to the fact that the Star Plus Latex is ventilated, with additional zipper to make it easy to check the interior content for maintenance.